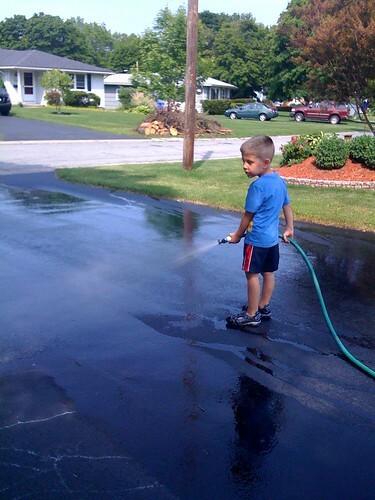 He wanted to get all the bird poop of the driveway, so I said go to town. Hey Russ it Lynda I haven’t seen that many pictures of your kids send more. Yea mom is right he does look like you when you were a little boy. HANDSOME! !